Buffalo Hearing & Speech Center offers innovative services to children and adults with communication and educational needs! We have been recognized as a Best Places to Work in WNY and pride ourselves in being an employer of choice. We are pleased to accept resume submissions on an on-going basis for any of our career opportunities. We have full, part-time and fee-for-service positions available in classroom, clinic and community settings throughout Buffalo, Fredonia and the surrounding areas. In addition, we also accept resume submissions from fee-for-service providers to do evaluations, early intervention and related services with children ages birth through 5 throughout Western New York. 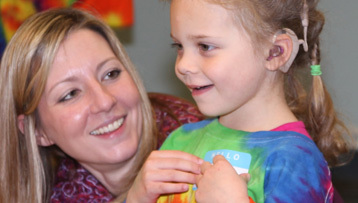 Buffalo Hearing & Speech Center offers many generous benefits! Most benefits begin after 30 days of employment, including PTO! 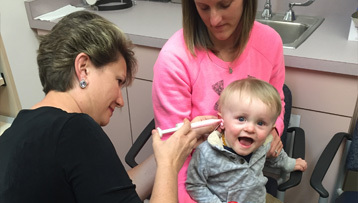 Buffalo Hearing & Speech Center has several locations, offering full time, part time and fee-for-service work. *PTO is prorated based on start date and hours worked. Full time employees working less than 26 pay periods a year will be adjusted accordingly. Part time employees may accrue PTO based on scheduled hours. **The 401 (k) plan is the only benefit that does not begin 30 days after employment; subject to eligibility requirements.